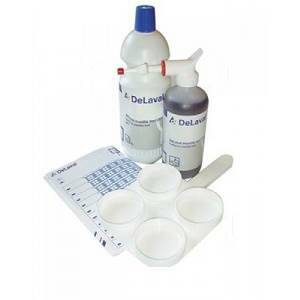 92065113 : Delaval California Mastitis Test, full kit. The DeLaval California Mastitis Test CMT is an easy and economical way to help detect infected quarters early. One of the most common forms of mastitis, and hardest to spot, is sub-clinical. The DeLaval California Mastitis Test provides a complete kit with easy to follow instructions, allowing early detection.